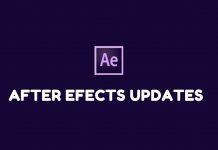 Though there are hundreds of After Effects Plugins and Presets available on the Internet, some of them are must have and I recommend every After Effects user to try them at least once. 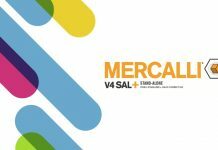 So, I decided to shortlist few must have After Effects Plugins and Presets that Enhances Your Creativity. Trapcode Particular is an After Effects Plugin developed by Red Giant which helps you create realistic natural effects and particle simulation where you can control the lighting as well as shading of those particles. Many effects can be produced with this plugin. I normally apply this plugin to make clouds, smoke, missile trails, etc. As it gives you immense control over the physics of such effects such as air resistance, gravity and turbulence. Trapcode Suite is the essential plug-in suite for motion graphics and VFX artists. Work created with Trapcode Suite can be seen everyday on TV and in many movies such as Terminator Salvation, Angels and Demons, Sin City, Spider Man 3, Quantum of Solace, The Day after Tomorrow, etc. Element 3D is not just a plugin, it’s a whole new Software that works natively inside Adobe After Effects to give you the power of 3D so that you no longer require dedicated 3d programs such as Autodesk 3ds Max or Cinema 4D. Element 3D is developed by Videocopilot.net who also are renowned for that After Effects Plugins and Presets. Element 3D helps you integrate 3D objects into your scene. Various model packs are available for Element 3D which are pre-textured and are of very high quality. Aside from that, you can also import your own 3D models in .obj format to use with Element 3D. 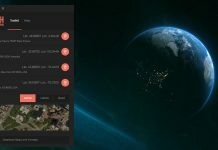 CAMERATRACKER for After Effects plugins allows you to pull 3D motion tracks and matchmoves without having to leave After Effects. 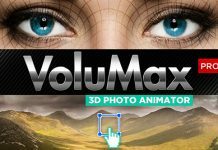 It analyses the source sequence and extracts the original camera’s lens and motion parameters, allowing you to composite 2D or 3D elements correctly with reference to the camera used to film the shot. CAMERATRACKER is developed by The Foundry and you can watch a demo video of this plugin right below. Film Magic Pro is a set of Color Correction presets developed by Videocopilot.net. 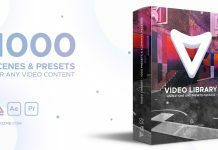 It contains various presets of color corrections that you can use to do some quick color grading o your footage. These are very quick and easy to use. Once installed, all the presets will be available on your After Effects Effect and Presets panel. All you have to do is create a new adjustment layer and Drag & Drop these effects on that layer. Examples of Film Magic Pro presets are shown below. Kronos is a Time Remapping and Motion Blur After Effects Plugin and is somewhat same as the Time warp plugin which comes pre installed in your Adobe After Effects. To create slow motion, new frames have to be generated. Just repeating frames results in very poor quality output with blurring and stuttering, and motion vector techniques have traditionally been very slow to render. 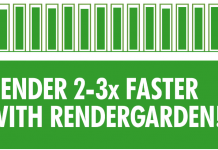 KRONOS produces far superior results by creating brand new frames using optical flow/motion estimation, and at incredibly high speed thanks to its ability to utilize your NVidia GPU for offloading processing. Watch Kronos in action below. 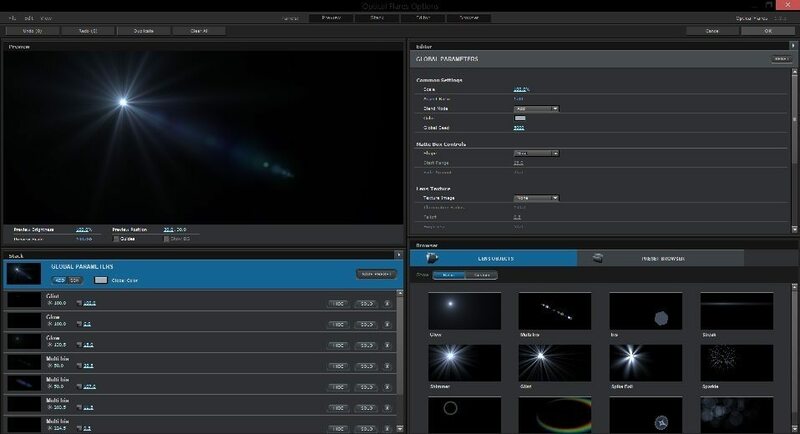 Optical Flares is a Lens Flare package by Videocopilot.net and consists of variety of different types of lens flares that are generated from different light sources. It is a must have plugin which adds very realistic Lens Flares in your scene. 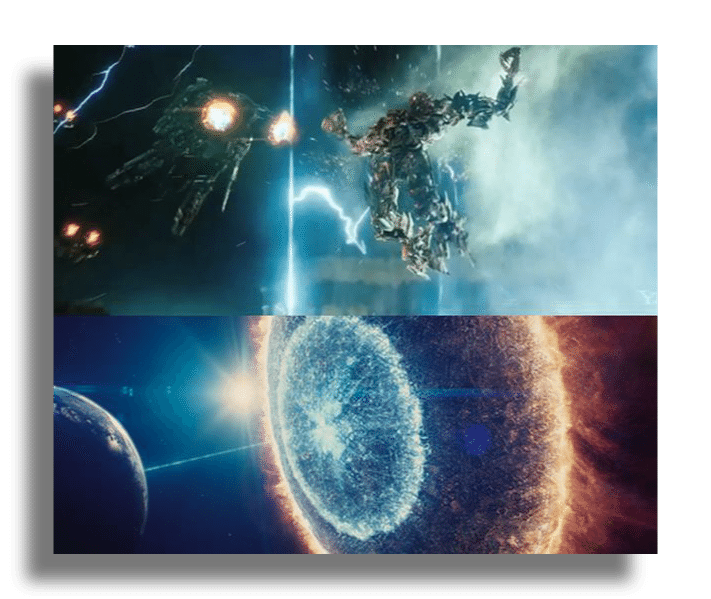 This Plugin is also used in number of motion pictures and one great example is Transformers. Optical Flares has a dedicated user interface which works natively inside of Adobe After Effects just like Element 3D. The Lens Flare effects are applied on a Black Solid. Very easy to use, yet a very effective plugin. I personally use all the After Effects Plugins and Presets mentioned above, and believe me, it helped me a lot to take my work and creativity to the next level. If you are also a Motion Graphics Artist like me, i recommend using these plugins and presets at least once. You will definitely become a Fan like me.